That’s right! The Louisiana Lethario, the Riverboat Gambler, the Silver Fox, the Cajun Capon, is out of prison after serving over eight years of his ten year sentence for rigging riverboat gaming licenses (a little thing called bribery and extortion). The 83-year-old Edwards was released into a halfway house in Baton Rouge, but is likely to serve out his release conditions in Baton Rouge with his daughter, Anna Edwards. Now, all you non-Louisianians are likely saying, “So what? Another politician caught with his hand in the cookie jar…glad he went to prison and he deserves the public shunning he’ll get for the rest of his life.” Ah, but this is Louisiana, people. And to understand the enormity of this news, you have to understand Louisiana politics and the maelstrom that is Edwin W. Edwards. There are some monumental political figures in Louisiana’s history….Governor and Senator Huey P. Long, his nephew and renowned U. S. Senator Russell Long, Senator J. Bennett Johnston, Senator John Breaux, etc., but none are as renowned, celebrated and talked about as “Fast Eddie” Edwards. You see, EWE hit the Louisiana scene when the state was going from a sleepy, backwater farm and seafood economy to the back room for the oil industry. In the late ’60s and through the ’70s, oil money was FLOWING, particularly in South Louisiana — home to one little cajun girl who shall remain nameless. I have vivid memories of Edwin Edwards. He was the first Governor and yes, celebrity that I can recollect. 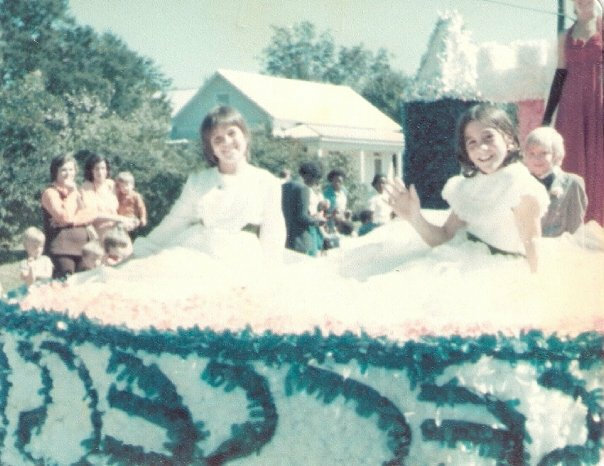 Like many Louisiana towns, the small town that I grew up in had a fall festival every year that was part fund-raiser for worthwhile community causes and, in the Cajun way of life, a concentrated effort in celebration and party….you know, the joie de vivre. In Youngsville, that was the Festival of Beauties. We had a full carnival, complete with boardwalk, carney booths and amusement rides. My absolute favorite was the Tilt-A-Whirl, where centrifical force held you against the wall while the floor dropped out. I can still remember the thrill of the first time I mustered up the courage to ride “The Bullet”. There was the Friday night Fais Do Do held outside at the old Elementary School that I attended and where my uncle was the principal — my Daddy’s best friend growing up was my 7th grade homeroom teacher. French music permeated the festive air where parents showed off their dance moves to mesmerized children waiting to ask for another two dollars worth of quarters for the rides. Then, on Saturday, the whole town (and then some) attended the beauty pageant to crown our queen. My Nanny (Godmother) usually played the accompniment on piano and many times I sat next to her, again mesmerized at her uncanny ability to playing everything by ear, simply hearing the song once. 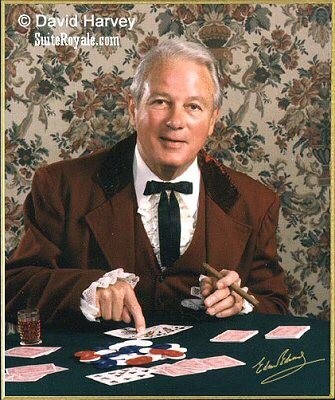 However, the irrepressible Edwin Edwards was not to be upstaged by a bunch of girls…young or old. He walked the length of the parade route (about 5 miles), basking in the adulation of his adoring Cajun public who dreamed of touching the cloak of their king. You see, in South Louisiana, there is no more adored thing than one of their own. Edwards was a product of Marksville — considered Yankee territory to most Cajuns –but his mother was a fluent, french-speaking Cajun Catholic. These two traits basically cannonized him in the hearts of the whole of South Louisiana. His savvy scrappiness and dedication endeared him to North Louisiana. So, one the whole, he was THE MAN for Louisiana. To properly understand his magnetism among the Cajuns and Louisianians as a whole, you have to understand the vehement loyalty that this society has for one of their own. Many a foible is overlooked if you are deemed to be “one of us”. There have been few too many Cajun heros, but those attaining that status can do no wrong no matter what wrong they do. A few Cajun legends with this status: Ron “Louisiana Lightning” Guidry – Cy Young Award-winning New York Yankee; WWII Hero Claire Chennault; Kentucky Derby jockey, Calvin Borel; 1996 Miss America, Ali Landry; and, Cleveland Browns’ QB Jake Delhomme, not name a few. Those attaining this status are pure Cajun gold — never paying for a meal or a new car…heh. Cajuns are, by nature, a pragmatic and forgiving people, so a little malfeasant is tolerated, if not expected. Edwin Edwards had a perfect understanding of this and simply took full advantage of his legend status with the people of Louisiana. To his credit, Edwards fully understood the public quandry and fully played it up. When asked about his chances of beating David Duke, he responded that the only way he could lose was “if he was caught in bed with a dead woman or a live boy”. Now THAT, is cahonas. I still remember the day that we saw the cop cars screaming down Highland Road toward the Country Club of Louisiana. It was 1996 and it was the day we were moving to Memphis. Come to find out, they were headed to Edwards’ house to arrest him. At that time, I was elated that the crook was finally caught. He had brought shame to the Cajun Nation and failed to live up to his promise as the Cajun Redeemer. However, now — after 15 years of bad politics and representation across the nation — I have to wonder…was he really all that bad? After all, he did more for Louisiana and its’ government than any Governor before or since. Good, bad or indifferent, Edwin W. Edwards was a leader, albeit a greedy one…and, he will always be — a CAJUN. Therefore, I say, live and let live. Let the old man play out his days in peace and freedom…unless I start seeing Edwards 2011 bumper stickers. This is my Mother. Despite popular belief that I was hatched from some quasar during a particularly spectacular Libra Dragon season, I was actually conceived and delivered the normal way by two pretty great parents. At 77, my Mother is in seriously good shape for her age. (And, if you need confirmation, just ask her. 😉 ) She’s been through polio at 2 years old, leaving her with a paralyzed left arm, her oldest child was found to be deaf at 9 months old, she had a major brain surgery in her early ’50s that would have killed a weaker person, and she watched her loving husband of 57 years suffer extreme pain for over ten years and die an agonizing death. She’s been rich, poor and in between, but she never lost faith nor wavered in her love of life….and of her children. At an early age, she instilled a love of music in me that I’m eternally grateful for. My childhood was filled with wonderful harmonies and encouragement to sing and play musical instruments. I never did have the patience to master piano and guitar, but I was definitely given the opportunity. The house was always filled with tuneage growing up, either from the radio in my nursery (the ’60s version of white noise) or the actual “live” music with friends on Friday nights. There are several songs that, for me, are forever linked to my mother. Many times, in the car, driving around, I’d beg my mother to sing “Dream” with me. 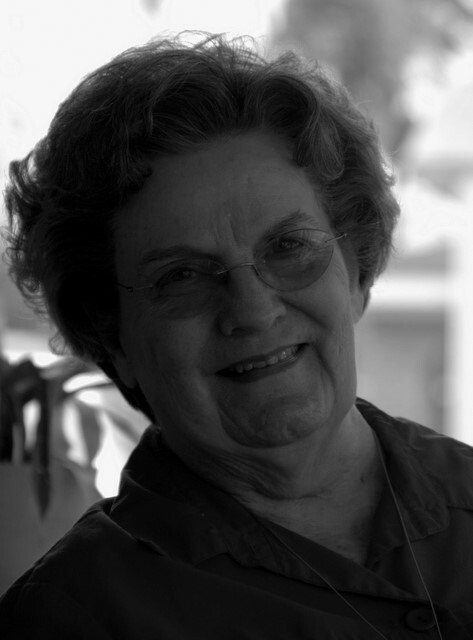 She taught me the harmonies and it is one of my favorite and most indelible memories of my mother. A family favorite, Prisoner of Love still holds a special place in my heart. My Godmother, her daughter, my Mother and I all have sung this song 100 times — in four part harmony. Those times are among my favorite memories. 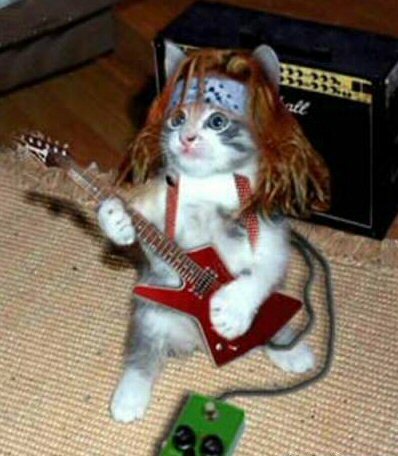 Another memory from those Friday night “jam sessions”, C C Rider seemed to be my Mother’s “riscque” song. Must say, she sang it with conviction. My Mother and Godmother actually worked out the Cajun French version of this…Et Bon Homme et Deur a Trouvier. I mastered both versions before my 13th birthday. To this day, it is Mr. D’s favorite song. My Mother adores piano and piano players. Since “The Killah” is from Ferriday, Louisiana, he is/was like a local god for the Cajun folks in the 50s and 60s. I am her baby, the youngest of three. For years, I denied my obvious resemblance and now I’ve come to realize that it’s an honor. While she is the most aggravating person I have ever come across, she is also the most loving and endearing. She is passionate and caring, independent and sensitive. And, I’m sooooooo glad that she’s still here. To my wonderful Mother and all the Mothers out there, I hope you have a wonderful, relaxing Mother’s Day with the peace that you are loved unconditionally by your children. And, Mamma, thanks for the music. So, Colette considers Light My Fire as a “watershed” hard rock song of the boomer generation. She asks a great question. What are some of the hard rock songs that you consider to be influential in guiding rock down different paths from your generation? Here are a few of my submissions…. Hell is For Children, Pat Benetar Deleted due to beratement and replaced with an ode to the conflict between men and women. Ok, so Mobile, AL days are still 85 degrees, but the nights — oh, the glorious nights — are in the low 60s. The humidity has dried up and there’s a slight breeze. A few trees have started to take on yellowish and red tints and of course, college football is in full swing. Fall is my absolute favorite season, no matter where I’m living. When I was in Louisiana growing up, Fall meant the build up and excitement of my birthday and back to school with friends, football games, victory dances and lazy Sundays at the park with music blaring from our parked cars. When I moved to Baton Rouge, Fall was the bustling weekends of housework and handy work with the doors and windows open letting the fall air waft through. Again, music from the stereo providing the comforting accompaniment while we went about changing diapers and making our home improvements. In Memphis, Fall took on a whole new meaning. A real season….with glorious colors and much more subtle temperatures. Early soccer games and late afternoon bar-b-ques with music piped outside to enjoy a tranquil evening and dinner with friends on the patio. Through each Fall, Tupelo Honey has been there — encapsulating what Fall feels like for me. This rich song has the lyrics and the melody that garner the exact feelings of the season. But then, that’s what music does, right? Creates a memory. Invokes a memory. Pays tribute to a memory. For the record, my memory is generally pretty sharp. Some have even said it’s photographic. I’m in my 40s now, but in my early 20s, it was phenomenal. However, in early 1991, I became pregnant for the first and only time with Mini-DD. Shortly into the pregnancy, I lost my ever lovin’ mind — literally. I could barely remember my name and where I lived at times. So forgive me, but I have no recollection of how I came to purchase Aaron Neville’s Warm Your Heart CD. It may have been my particular fondness of the single hit, Everybody Plays the Fool, or perhaps I heard it at my friend’s annual 4th of July pool party or maybe it was hearing Somewhere, Somebody on the new AC Radio Station in town. Regardless, if someone put a gun to my head I couldn’t tell you how I came to possess Warm Your Heart. I can tell you that it became one of my “viral” records. You know, one that you get and play over and over and over until you know every lyric and every beat and what song comes next, etc. I happily played this CD every Saturday when I was cleaning house, Saturday nights when we bar-b-qued outside and Sundays after mass while reading the paper. Very rarely listened to music during the week back then as I was exhausted from working all day and when I got home I usually sat with my big, swollen feet propped up for a while then we ate dinner and passed out by 9:00pm. Back then, we also didn’t have a CD player in our cars, so I was confined to playing it on our new 6-disk changer CD in the house. I love his CD. Aaron Neville is so thoroughly Louisiana and so thoroughly Soul. I like virtually every song on the CD and they are all very different from one another. Of course, the opening song of Louisiana 1927 is well-known thanks to Hurricane Katrina, but I fell in love with it back in 1991. As most of you know, I love all things Louisiana, so I was immediately drawn to this song. So much so that I actually researched the flood of 1927 and interviewed both of my grandmothers who were still living and were 90 and 85 at the time. This song, for me, is a testament to the metal and defiance of Louisianians. While it may appear to be a sorrowful recantation of a profound tragedy, I believe that it’s about triumphing over adversity and not letting them “wash us away”. Maybe it’s because I know, first hand, of the tenacity of the people of Louisiana and its rich history, but that’s what I get from the song. Here are a few song samples along with my thoughts…. It Feels Like Rain http://www.hotlinkfiles.com/files/189117_ztwrg/03%20It%20Feels%20Like%20Rain.MP3 Written by the great John Hiatt, this song is a slow burn delivered exquisitely. Somewhere, Somebody I swear that this song was in a movie but it was at the time of my FBD (Fetal Brain Drain) syndrome. Regardless, I do know that it’s one of the reasons I wanted the CD. I love the old throwback soul style of it. With You in Mind Along with That’s the Way She Loves, this song was written by the legend, Allen Toussaint. Part of the perks of growing up in New Orleans Music royalty provides working with the likes of Toussaint, John Hiatt, and even Jimmy Buffett, who wrote the quaint La Vie Dansante. Showing wonderful diversity, this tune blends a nice Calypso feeling and Aaron’s signature styling. Close Your Eyes Aaron has done several duets with Linda Ronstadt and this one wonderfully highlights both of their voices. This song has a lot of Marcia Ball influence, to me. I also love the fact that Aaron Neville is unabashedly Catholic. Sometimes it’s not easy putting that out there in this increasingly secular world, but Aaron wears the big cross for the meaning and talks in the book, The Brothers, how he prayed to St. Jude to turn their fortunes around after a particularly tough patch. Also, Aaron wrote a song, Song of Bernadette, for another CD about St. Bernadette. Though he’s never mentioned it or called attention to it, every CD in his recent past ends with a religious song as the 13th song — Ave Maria on this one, The Lord’s Prayer on another, Cryin’ in the Chapel on another. If you don’t have Aaron’s Christmas CDs, do yourself a favor and add those to your collection, as well as this one. I Bid You Goodnight This song can be taken a few ways and I particularly like the acoustic nature and harmonies. There is a religious message there, but’s very subtle. Warm Your Heart This title track is magnificent. It’s New Orleans music 101. I can picture all kinds of “special guests” like Irma Thomas and Marcia Ball sitting in on this one while I sit at a sidewalk table in Jackson Square watching the artist do tourists’ portraits under the gaze of Andrew Jackson. TODAY’s TRIVIA: Warm Your Heart was written by the brilliant Ahmet Ertegun, President of Atlantic Records…an accomplished songwriter in his own right. Here is a Rolling Stone Review of Warm Your Heart that captures the essence of this wonderful compilation quite well. This is a great listening CD and will provide you hours of enjoyment. It’s available at iTunes and Amazon. 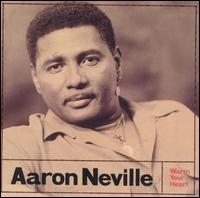 Also, you can visit Aaron’s website at www.aaronneville.com. I’m a sap. I admit it. I’m patriotric to a fault. And, Memorial Day is particularly thought-provoking for me. When Mini-DD was but a boy, I would talk to him on Memorial Day to discuss the difference between Memorial Day and Veterans’ Day. 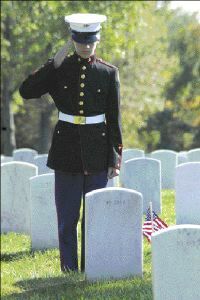 Memorial Day is when we honor those who have died defending our freedoms and way of life. Veterans’ Day honors all those who have fought to defend, living or dead. Subtle, yet significant difference. I learned the difference when I was 19. As hard as it is for me to admit, 25 years ago last Saturday, I graduated from high school (Geaux Spartans!). Growing up in Southwest Louisiana, we didn’t miss much fun. Our class was particularly great and in that summer of 1982, we set out to conquer the world. I went straight to work and prepared to be married in the fall. (Yes, I WAS that stupid.) We partied all summer and in September, had a hum-dinger of a party to send one of our best friends off into the Marine Corps. He and I had been friends since 9th grade Algebra. I “liked” him, liked him but he was pretty shy and reserved and didn’t reciprocate, so after a short time we became good friends instead. We were in the same homeroom and we shared classes through the years. Virtually every weekend, our big group of friends “hung out” together and enivitably, he and I would end up paling around. He even set me up with his totally cute cousin for one particular party. Of course, we were all gung ho and Semper Fi about our friend joining the Marines. At that time, joining the Marines was somewhat of a different tack for folks our age, but we thought it was honorable and cool. And we threw one hell of a going away party. Then, one short year later, this.. In the early morning hours of October 23rd, 1983, a lone driver in a yellow Mercedes drove 12,000 lbs. 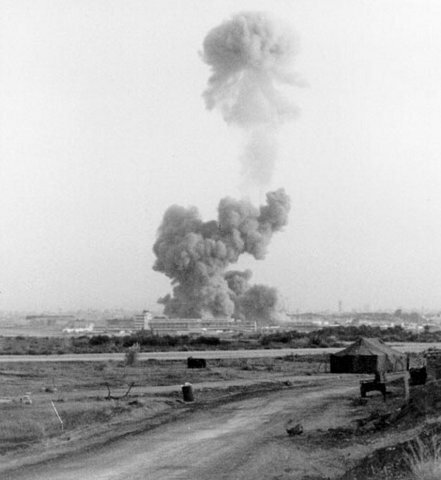 of explosives into the Marine Barracks in Beirut, Lebanon. Mercifully, my friend, Lex David Trahan, slept in his bunk only a few hundred yards from impact, so he likely didn’t even know what hit him. However, in the blink of an eye, he was gone. This only child, who was due to ship home five days later never made it home for his extensively planned welcome home party. A couple of days later a Marine Chaplain and Lex’s recruiter drove up to his parents’ home to deliver the devastating news. Two days after that, his trunk of belongings arrived at his parents home. He had sent them ahead of his departure from Lebanon, anticipating that he’d catch up to them in a few short days. It was tragic and devastating. It was the first time I had really experienced sudden death of someone so young and full of life, and so close to me. I have never forgotten Lex. I tell my son about him every Memorial Day and some nice fall October days when the wind blows and the leaves start to change. And, I will never forget. Without getting political, when people ask if we should be in Iraq or if we are really in a war with terrorists, I generally just answer yes, without letting them know that Lex’s bright shining blue eyes are staring at me in my mind. There are so many Lexs in our country’s history. Please take a little time this weekend to reflect on all of those young lives that have been lost to protect our way of life. In honor of Memorial Day, here are a few songs to reflect upon. This one is likely my most favorite Ray Charles song of all.